The Federal Bar Association (FBA) is the premier bar association serving federal practitioners and the federal judiciary. The FBA includes more than 18,000 federal lawyers, including 1,500 federal judges, who work together to promote the sound administration of justice and integrity, quality and independence of the judiciary. The FBA also provides opportunities for scholarship and for judges and lawyers to professionally and socially interact. 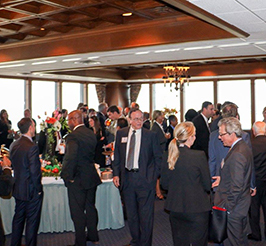 As a member, you receive The Federal Lawyer, the only magazine for practitioners of federal law, special offers for incentive programs, leadership opportunities, extensive networking opportunities at the local chapter and national level, access to a nationwide directory of fellow FBA members, CLE opportunities, and much more. 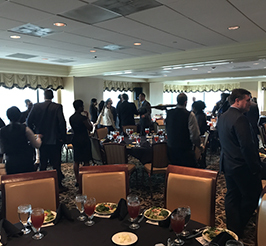 Annual Luncheon Featuring an address by the Chief Judge of the United States District Court for the Middle District of Florida, the Chief Judge of the United States Bankruptcy Court for the Middle District of Florida, the United States Attorney for the Middle District and the Federal Public Defender for the Middle District. 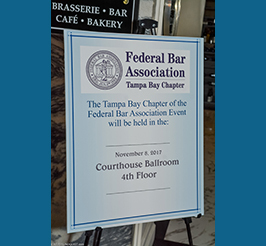 Visit the Federal Bar Association’s online registration page or email the TBCFBA Membership Chair Anitra Raiford. If you are already a member of the FBA and would like to join a particular section or division, you can do so online on the Federal Bar Association’s website.